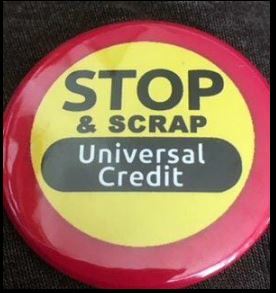 All over Britain we’re holding locally based protests against universal credit to support the DPAC demonstration in London. Obviously everyone can’t get to London so this is going to open up the event and make it easier for more people to access and take part. So far we have: Labour sheffield, Women’s lives matter campaign Yorkshire, Sheffield Green party, Momentum Sheffield disability officer, and DPAC. Wednesday 18th April, 12- 2 pm at the Clocktower, Unite Community and friends supporting DPAC. The York Unite Community Branch is supporting the Disabled People Against Cuts national day of action against Universal Credit by holding a gathering on and adjacent to the footpath outside The Jobcentre Plus (one of our local Department of Work and Pensions buildings), 11-17 Monkgate, York YO31 7JZ between 10 and 12 on Wednesday April 18th 2018.
is there a demo in London? Leicester, Wednesday 18th April, 12- 2 pm at the Clocktower, Unite Community and friends supporting DPAC. Can Swindon not do a protest? Unfortunately we don’t have a DPAC group in Swindon! If you would be interested in starting a Swindon DPAC, get in contact at mail@dpac.uk.net. It’s not as difficult as it sounds, we can assist with advice and such. It doesn’t need to be a big group either, a handful of like-minded disabled people working together can create a DPAC presence. That’s how DPAC itself was formed, ‘just people’ getting together to oppose something they could see as wrong, and it took off! Why not give it a go? I’m in Scotland can’t get to any of those places although I wish you all the very best of luck and hopefully it will be a nice day despite the thing that’s being protested which is horrible. Best wishes. Any demo,s taking place in cornwall? There is a Website that has been set up, which will have a lot of information about Universal Credit, including a serious matter that is likely to be introduced later on. Universal Credit will no longer be a benefit. The site is being built but is live. It is hoped that the UC information will be there by Monday 9th April 2018. So plenty of time before the demonstrations. I will also have posted the times and locations of each demo. Parliament returns from their Easter recess Monday 16th April 2018, so the demo will be ideal. Prime Minister’s Question time is 12:00 on the 18th, so as near or at this time the better. DPAC Ceredigion will be having a demo outside the job centre, Cardigan. Please see our face book page for more details.